The U.N. human rights commissioner says ‘shame is in retreat.’ He’s right. JORDANIAN DIPLOMAT Zeid Raad al-Hussein has spent nearly four years fighting a frustrating battle against genocide, oppression, racism — and the increasing indifference to them among governments. 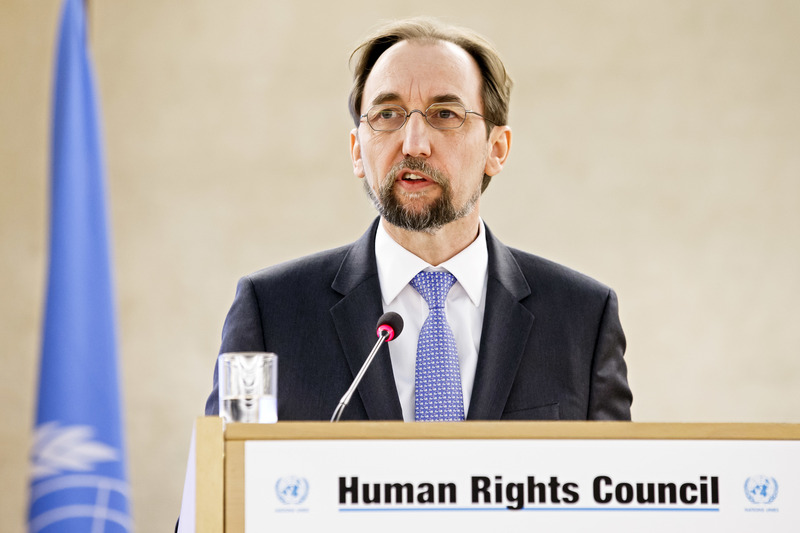 Last week he opened the 37th session of the U.N. Human Rights Council, and with the end of his four-year term as high commissioner for human rights in sight, he chose, he said, “to be blunt.” His tough conclusions are worth repeating. In particular, Mr. Zeid faulted the U.N. Security Council, which has been paralyzed by vetoes from its permanent members — most recently by Russia and China in the case of Syria. “It is they,” Mr. Zeid said, “who must answer before the victims.” He cited a French proposal that would restrict use of the veto in cases that the U.N. secretary-general determines involve genocide, crimes against humanity, or large-scale war crimes. More than 115 countries, including Britain, have backed the idea; China, Russia and the United States have not. “Why are we doing so little to stop them,” Mr. Zeid asked, “even though we should know how dangerous all of this is?” There is, today, no more relevant question.